A no easy feat. 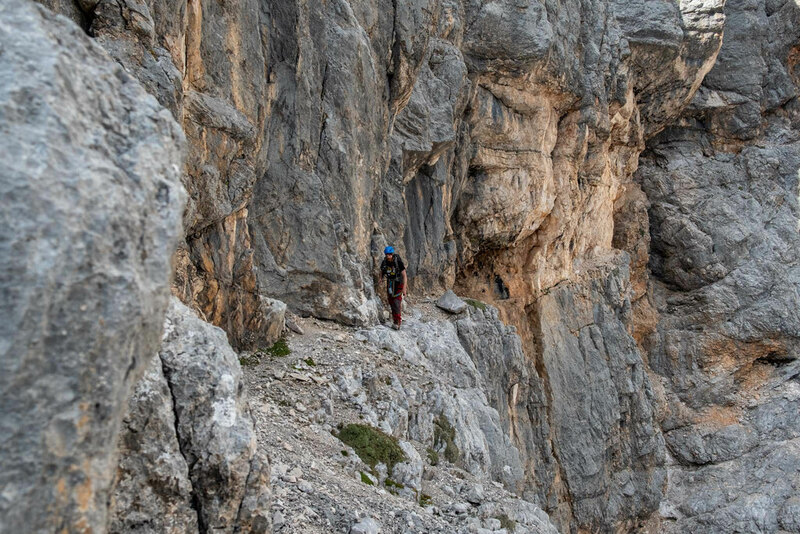 Via ferrata Giro del Sorapiss will not only test your endurance, but also the ability to navigate on not always obvious paths. Good planning ahead is essential for an enjoyable day excursion. 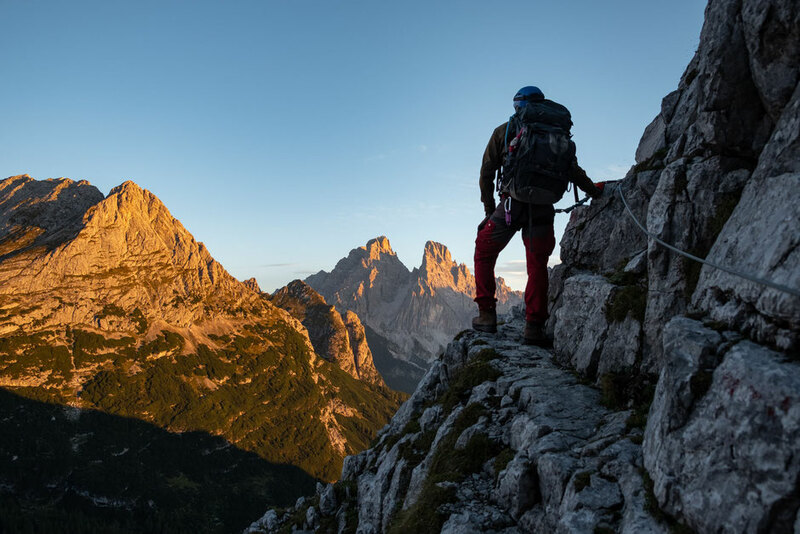 The reward will come in solitude, wildlife viewing possibilities and some of the best views in the Italian Dolomites! 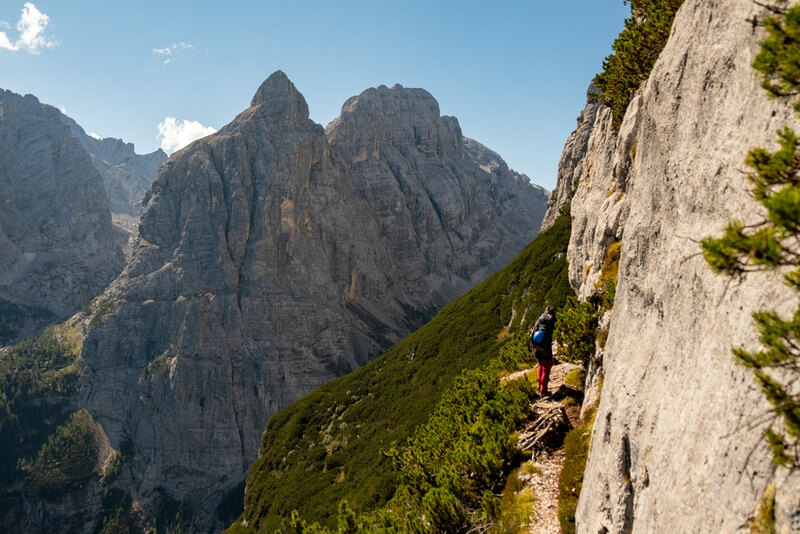 Rifugio Vandelli, where the Sorapiss Circuit starts, lies right near Lago di Sorapiss - one of the most popular day hikes in the Dolomites. 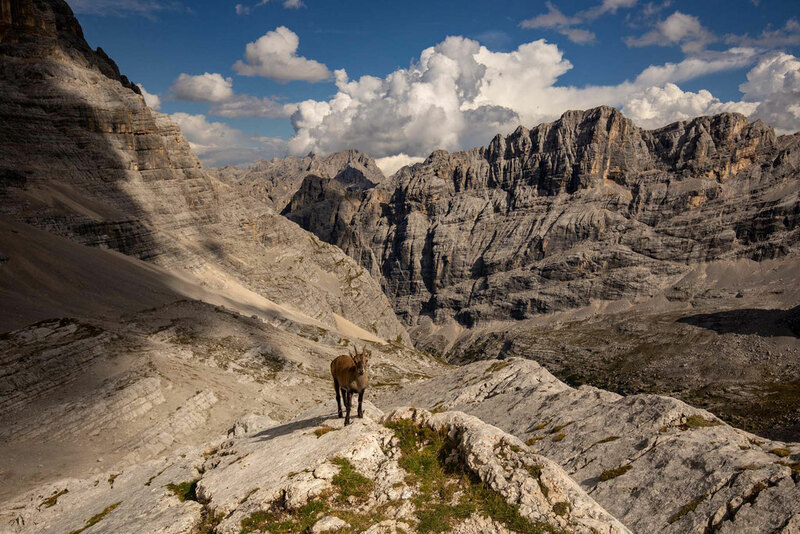 You can park along the side of the road at Tre Croci pass, but bear in mind that the spaces are limited and it gets really busy during the summer, especially on the weekends. 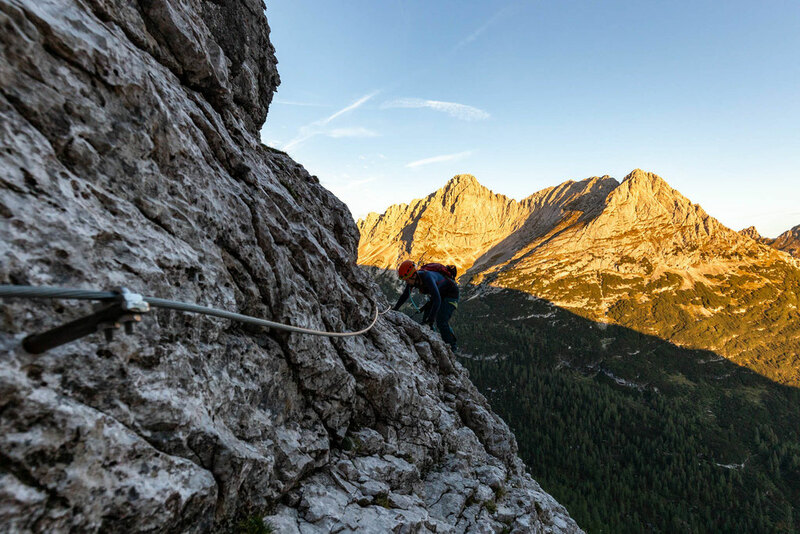 You should plan an overnight stay in rifugio Vandelli before tackling via ferrata Giro del Sorapiss, leaving from passo Tre Croci in the late afternoon. By then some parking will be vacated. 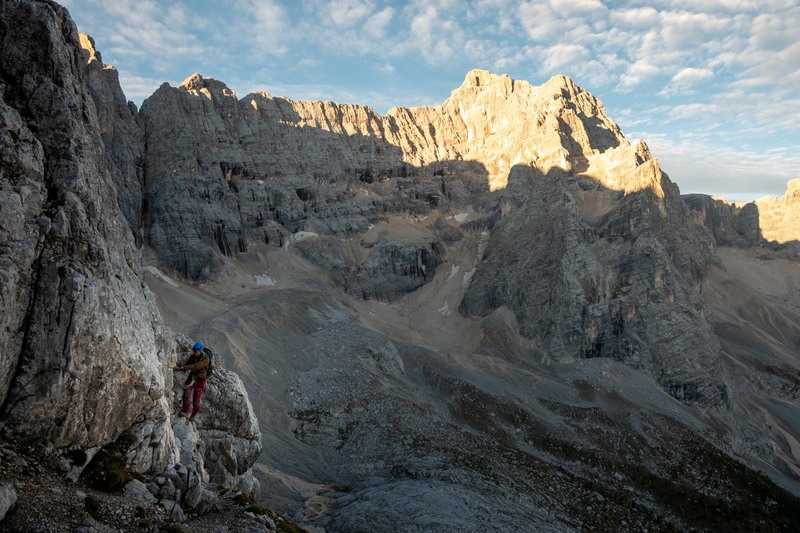 Via ferrata Giro del Sorapiss consists of three separate ferratas: Alfonso Vandelli, Sentiero Carlo Minazio and Francesco Berti. Since "giro" means "circuit" it can be walked in either direction. 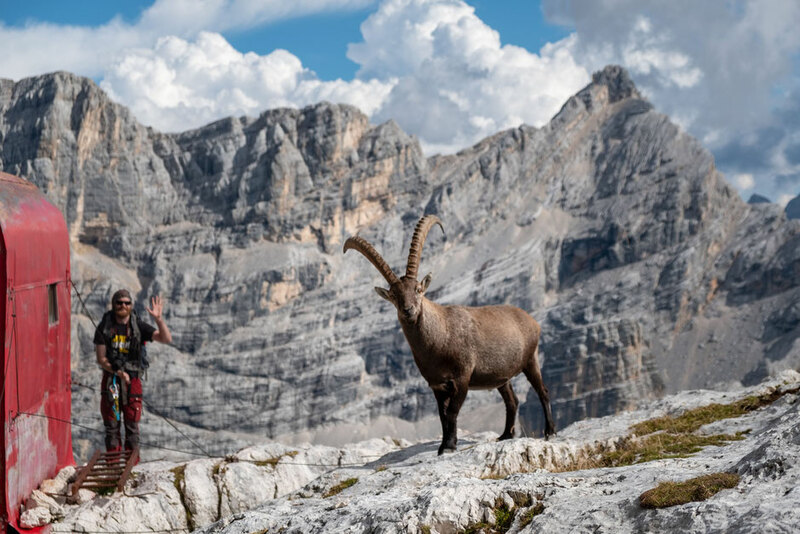 After consulting with the local and very friendly owners of the rifugio Vandelli, where I stayed the night before, I decided to tackle the route clockwise. Staying the night before in the hut meant that I could leave most of my equipment behind and take only what's necessary, making my backpack lightweight. From rifugio Vandelli follow the signs for path nr 243. Soon you will reach the western side of Croda del Fogo, where the climb along a series of ladders begins. 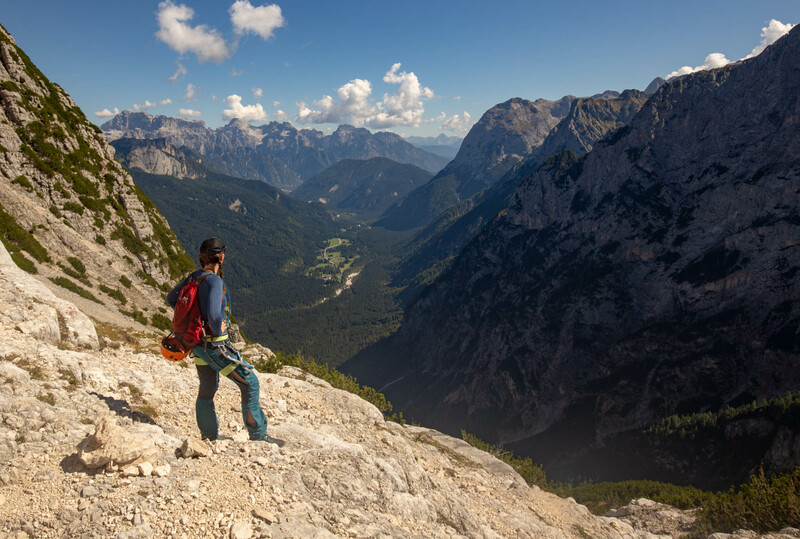 You will gain elevation quickly and your head might spin from exposure. Luckily the cables are present most of the way giving excellent protection! A quick reminder! They only work if you clip in! A harness, helmet and a lanyard are necessities. 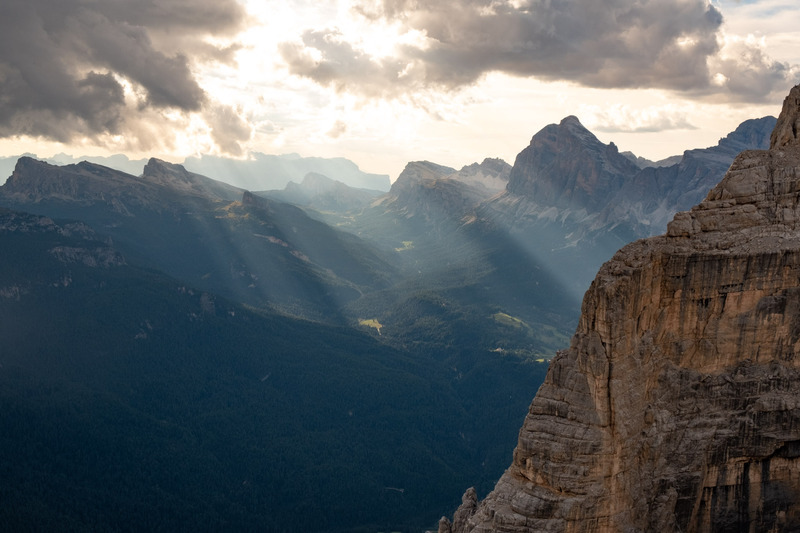 Two hours of fun climbing and jaw dropping views later, with Monte Cristallo in the far background, you will reach Col del Fogo at 2562 metres. You can exhale deeply now and take your helmet off for a bit. I don't have good news for you. 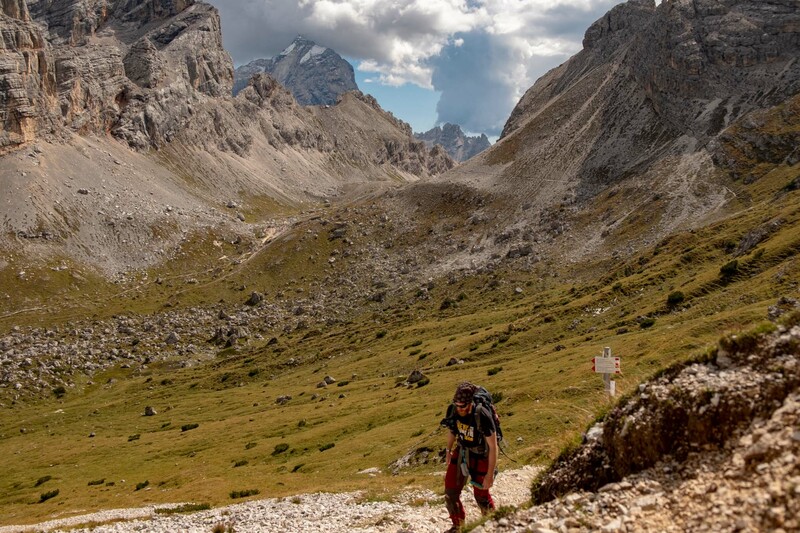 After gaining over 500 metres of elevation you will now lose most of it when following path nr 234 further to Bivacco Comici - the next landmark along the route. Make sure you are equipped with good map and know how to use it. In this case Tabacco nr 03 will do the job. Although there is only one trail you can follow, I still managed to get lost, because I had a crappy map with no details. 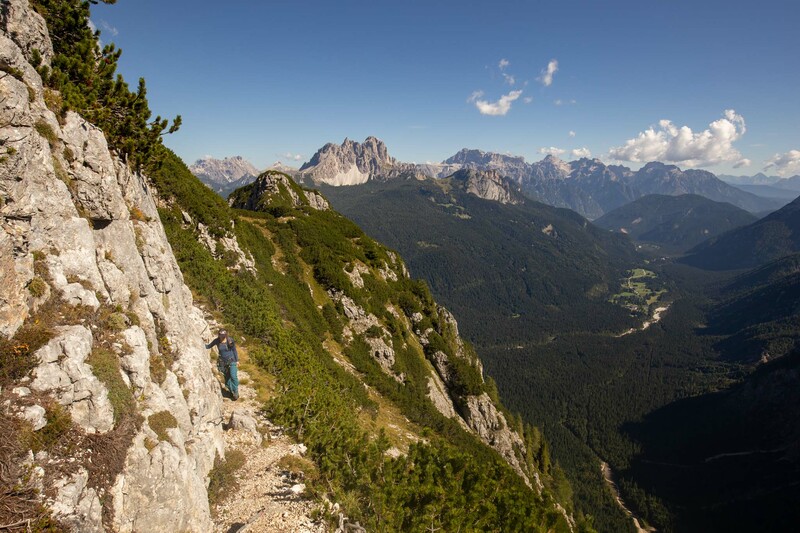 The fact that the trail drops down few hundred meters confused me. 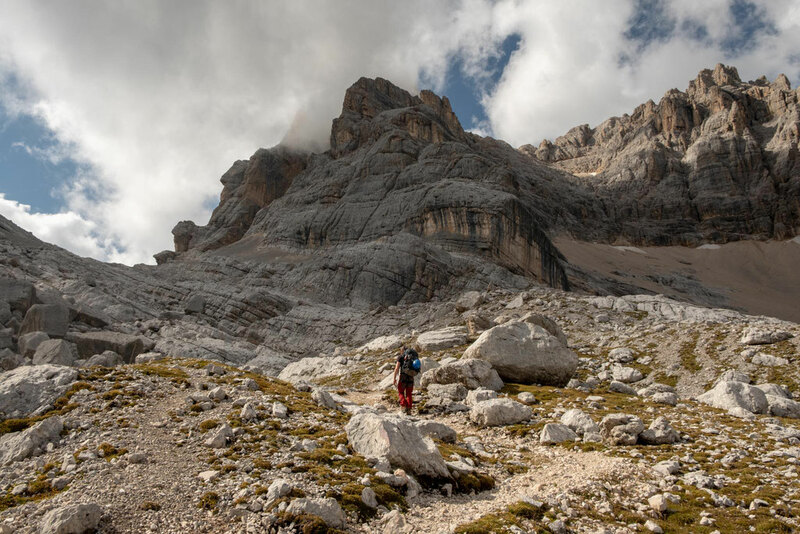 We followed the red markings, but never saw any direct signs for Bivacco Comici. We walked down for an hour before deciding to go back up again to Col del Fogo, losing around 2 hours and draining our water supply along the way, only to realize that we were actually following the right path. So down we went again. 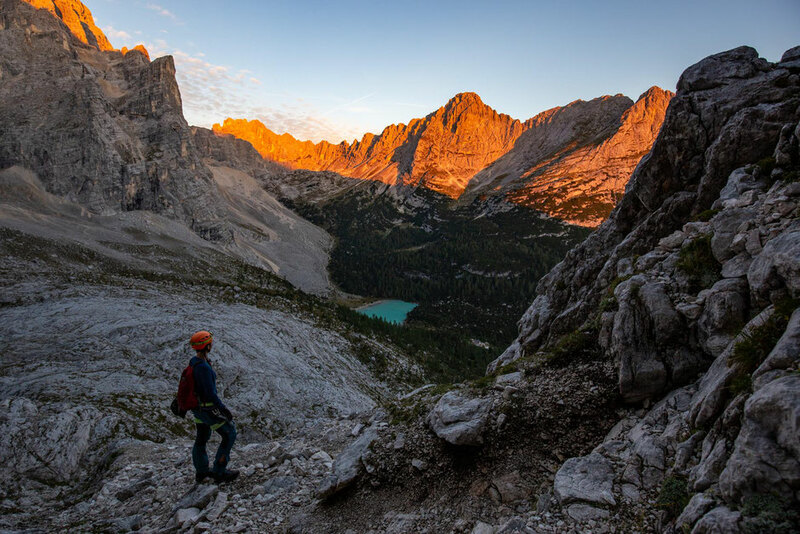 I admit, that it was my own fault and a good reminder that you should never get too comfortable in the mountains, because they will quickly give you a slap in the face telling you otherwise. After around 1,5 hour from Col del Fogo we finally reached Bivacco Comici. 2 hours later then scheduled. Take a good rest at Bivacco Comici and get ready for the second, slightly easier part. From the shelter you will see a saddle and a zig zag path going right up to it. Follow it for around 30 minutes until you reach the saddle. From here for the next 2-3 hours you will be following a series of ledges and later grassy slopes along an undulating path nr 243. 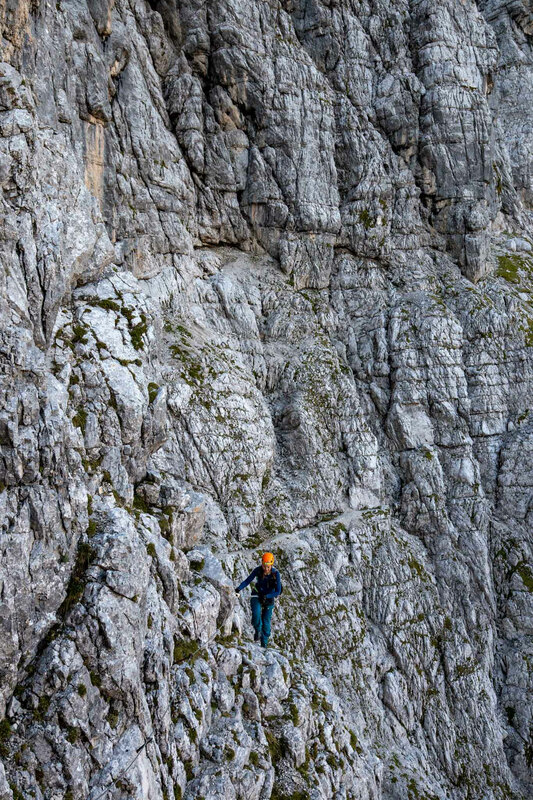 This part is known as the via ferrata Sentiero Carlo Minazio. In some spots the exposure is pretty decent with a few hundred meter drop to your left. Again cables are installed in the most difficult section, so you can (and should) clip in for peace of mind. Eventually the valley opens up and the path leads to a junction, where it splits up. 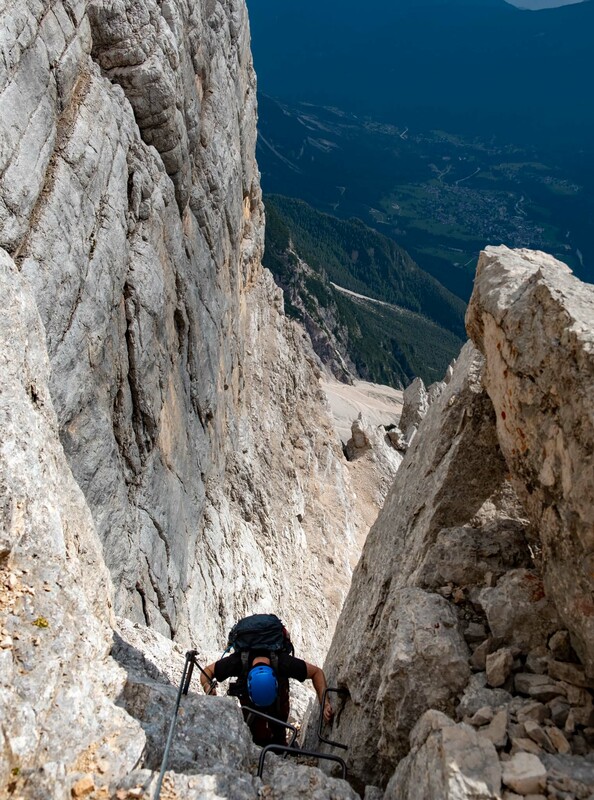 So far the Sorapiss Circuit was intersecting with Alta Via 4, the multiday backpacking trip through the Dolomites. 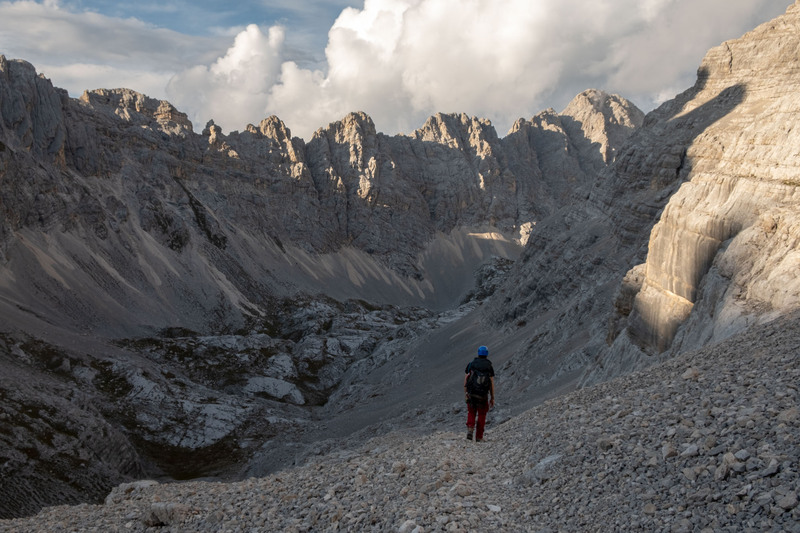 Turn right and hike up a large scree bowl along path nr 247 to Bivaco Slataper. You should reach it in around 1 hour. Couple of hundred meters before you will come across a little stream, where you will be able to fill up your water. Don't rely on it 100% though. Not bringing enough water was one of few mistakes I committed on the trail. By the end of the summer the stream was nothing else than a little trickle and having run out of water already an hour earlier, I was desperate to drink something. I filled up my camelback with muddy water hoping I won't catch any waterborne disease while drinking it. A LifeStraw or iodine tablets would have come in handy. 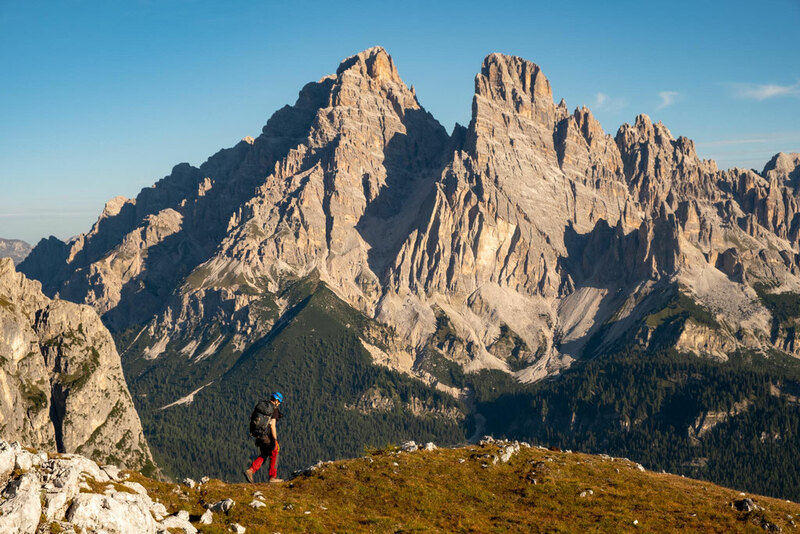 Bivacco Slataper is an option for those who are planning to split the circuit in two days as it lies, more or less, half way along the circuit. It's a tiny shelter with basic amenities. The downside of overnighting here is having to carry all your equipment with you: stove, sleeping bag, change of clothes and extra food and water. The weight quickly adds up. Personally I prefer to go as light as possible so I opted for staying in the rifugio Vandelli instead. This meant I had few more hours to go, before completing the circuit and a proper meal and a bed waiting for me at the end. 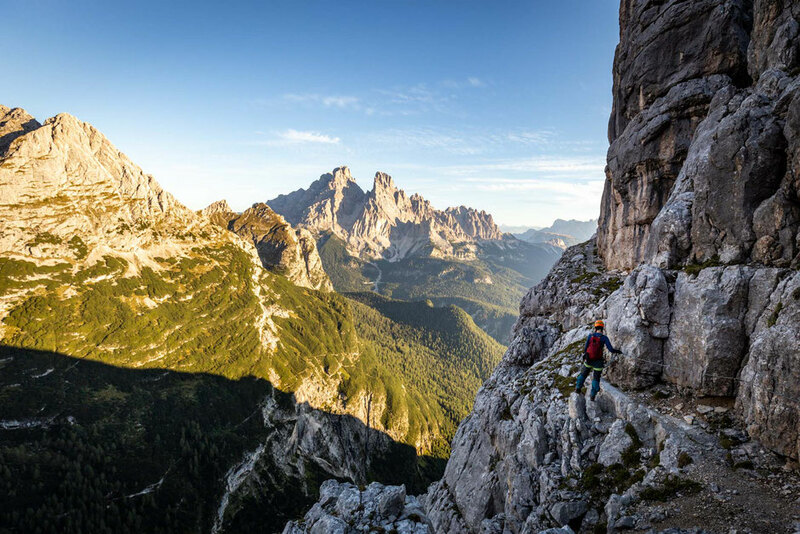 From Bivacco Slataper continue up on the path toward the saddle - Forcella del Bivacco. This is the highest point along the Sorapiss circuit. 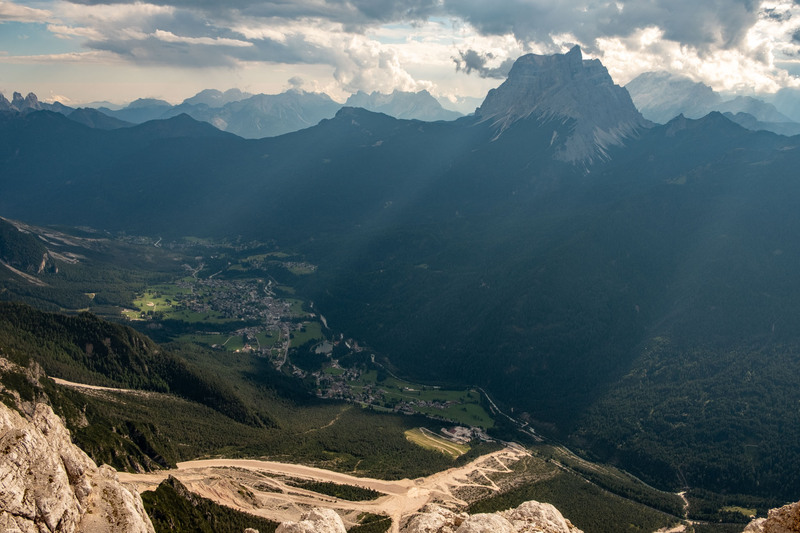 By looking left down into the valley you will be able to see the little town of San Vito Di Cadore. 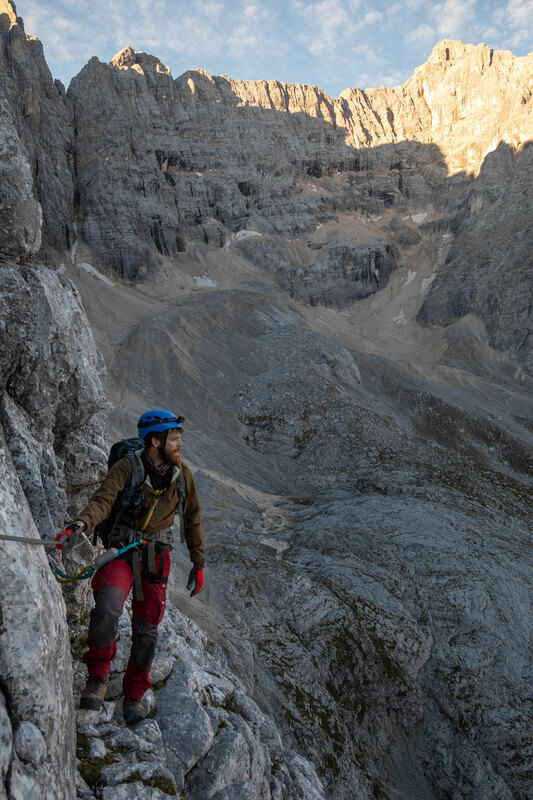 The challenging descent along the via ferrata Francesco Berti is coming up. The cables and ladders are placed nicely, so by taking it easy, you shouldn't face any real challenges, apart from, at times, scary exposure. 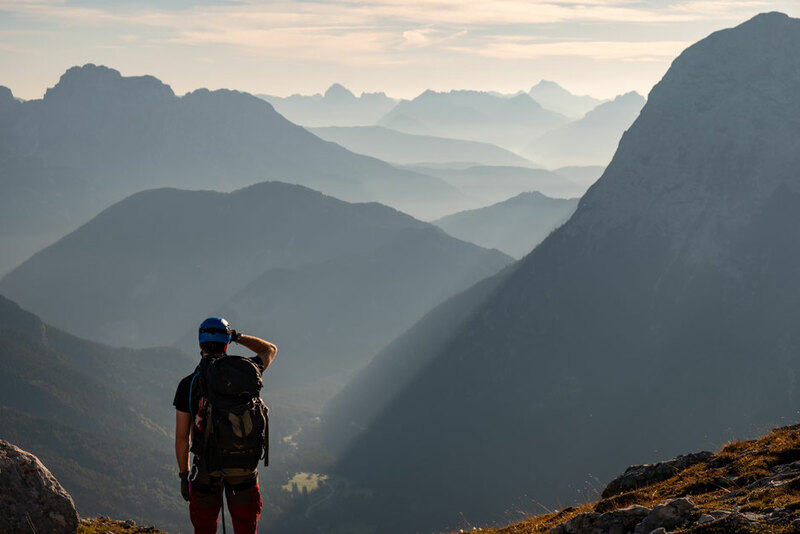 Once again you will lose most of the elevation you have just gained by hiking up to the saddle. 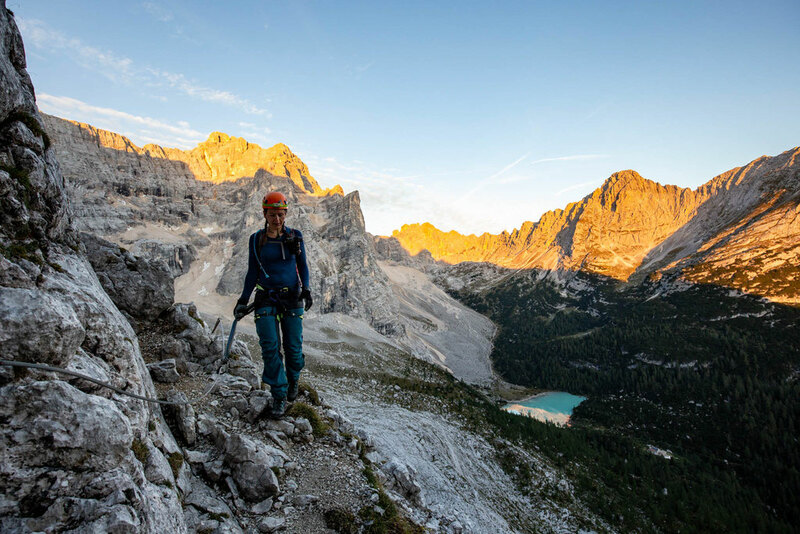 Continue right on an undulating scree path nr 242 high above the valley to another saddle - Forcella Cengia di Banco this is the last real obstacle on an already long day. 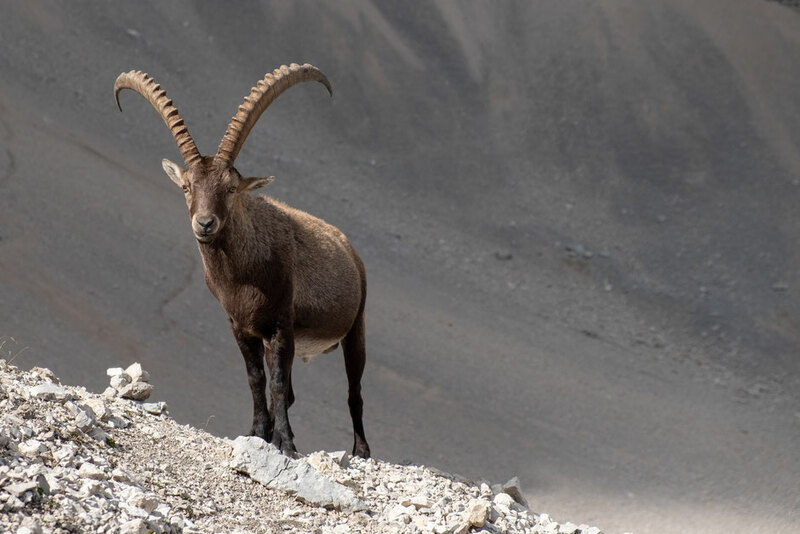 I remember my heart sank along the way, when exhausted from the long day of hiking, I came across a sign for rifugio Vandelli stating it's still 3 hours away! Having no choice but to keep going I started imagining in my head all the food I will order once I get there. Providing the kitchen will be still open. It was already 4 o'clock, some scary clouds were building up on the horizon and I was only hoping we won't be caught up in the middle of a lightning storm. From Forcella (saddle) Cengia di Banco is smooth sailing, well almost. After already 9 hours on foot (should have been 7, had we not lost 2 hours in the beginning) it's now mostly downhill along path nr 215 all the way to rifugio Vandelli. The clouds that were chasing us have slowly dispersed. The landscape is really barren, almost moonlike, until eventually you will emerge onto a small plateau high above lake Sorapiss and a small forest surrounding it. Rifugio Vandelli, a small dot from where you are standing, will be visible from afar. The last bit is unpleasant downhill walk on a scree and will take around 1 hour. To your right you will see the remnants of the glacier responsible for lake Sorapiss' turquoise colours. 1. Giro del Sorapiss should not be attempted unless the weather forecast is good for the whole day. During summer the afternoon storms are really frequent. September, when the storms subside, is the best month for it. 2. Take enough food and water. Although there are 2 places along the way where we could fill up the weather (the second one near Forcella Cengia Di Banco), both time the water was murky and rather questionable. 3. Prepare for a long and difficult day. It took us 11 hours to complete the circle, but we did lose 2 hours questioning whether we were on the right path only to learn that we were indeed. The total elevation gain/loss counting from Rifugio Vandelli is 1800 metres! 4. Take a map with you and study the path numbers as well as landmarks, which you will pass along the way. The path is marked, but sometimes the signs aren't entirely clear and markings are faded. 5. Plan an overnight stay in rifugio Vandelli. 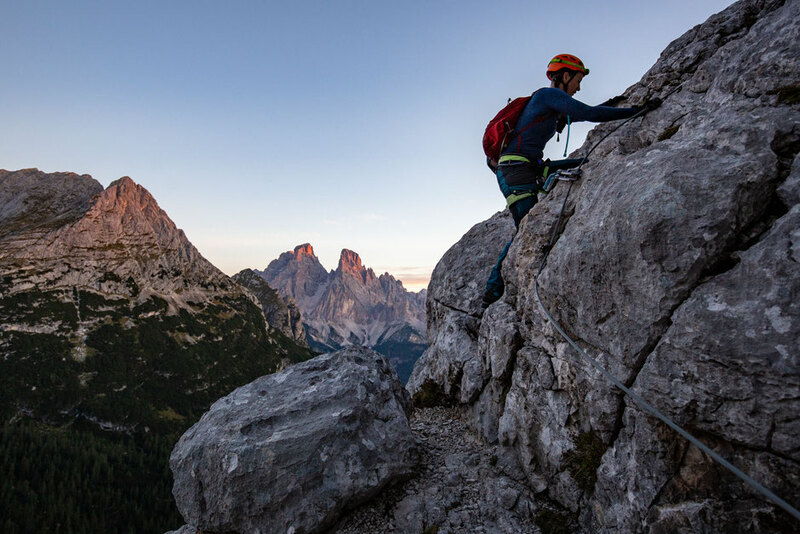 Ideally before and after the circuit so you can ensure an early start and don't have to hike back from Lake Sorapiss to Passo tre Croci after completing the circuit, adding a couple more hours to an already long day. 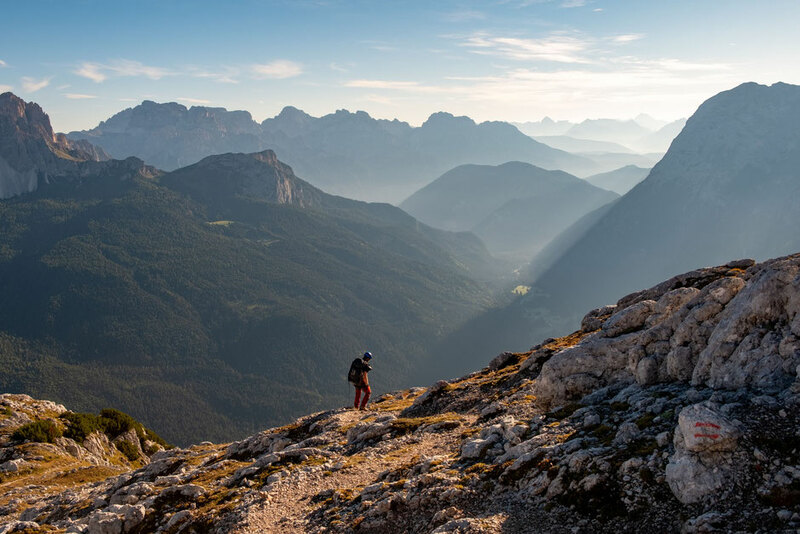 Are you planning to attempt Giro Del Sorapiss and have some burning questions? Post them in the comments below! I will be happy to help out!